U.S. Airman Second Class Gerald Suttkus, 81, a Detroit native living in Harrison Township, died at home on May 1. He served in the Vietnam War from 1959 until 1965. He later worked as a shipping clerk for a manufacturing company. Navy Seaman First Class Cyril Brown, 90, of Clinton Township, died Oct. 21, 2017 at Detroit Receiving Hospital. He served during World War II from June 1944 to June 1946. Thomas Novak, 59, of Warren, died in an area hospital died on April 25. He served as a private first class in the U.S. Army from 1975 to 1976. One survived World War II. Another made it out of Vietnam. The third served his country during peace time. 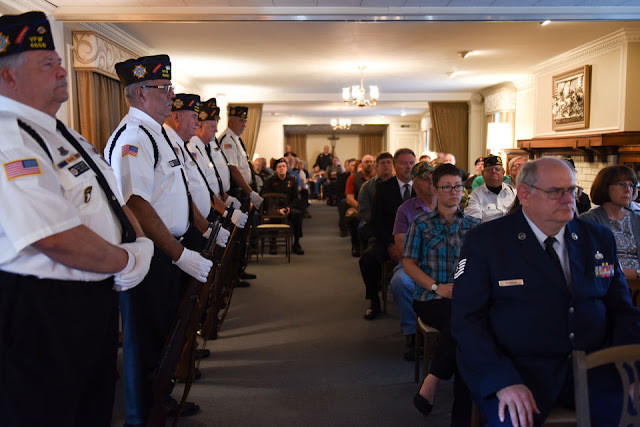 Most servicemen are sent off with gallant funerals in death, firing line salutes, a trumpet playing "Taps" and U.S. flag pageantry, but it wasn't looking like that would be the case for three Macomb County veterans who died over the last year. Their bodies instead lay in morgue freezers.